The chairman of Boise Working Together says if the initiative process isn't successful, he hopes to work with the city council to put the issues up for a vote of the people. BOISE, Idaho — A citizens group calling for a city-wide vote on proposals for a new sports park and library in Boise has filed petitions for proposed initiatives, but the city attorney says the measures as written now raise some legal red flags. 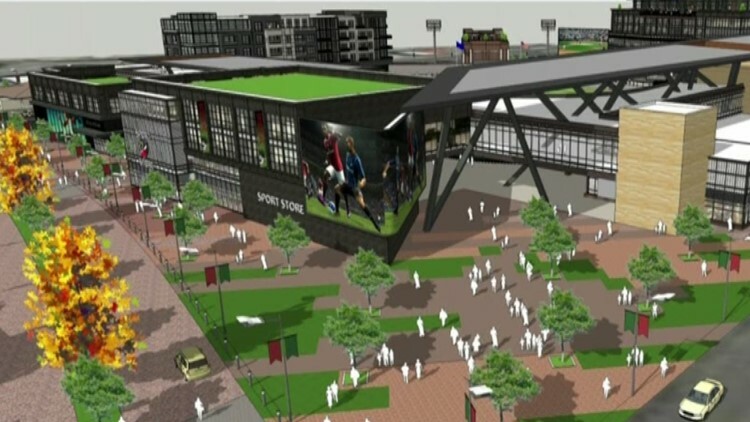 The proposed stadium, proposed for just west of the downtown area, would be the new home of the Boise Hawks as well as a new team from the United Soccer League. Proposed initiatives from the group Boise Working Together would require a vote of the people for any plan or design of a new stadium or a new downtown library. The Ada County Elections Office has verified enough signatures on the petitions for a proposed initiative or referendum on both projects. The second step - a review by Boise's city attorney - was completed Tuesday. In certificates of review for the proposed initiatives, interim city attorney Natalie Mendoza says they are unconstitutional because the proposal is administrative, relating to the municipal budgeting and appropriation processes. Mendoza also wrote that Idaho Code on city finances would preempt the initiatives, and would place improper limitations on future city councils. Regarding the library issue, Mendoza wrote that an initiative may be unconstitutional because it may cause the city to break contracts, and may result in "tortious interference with contract claims" - in other words, expose the city to potentially being held liable in the event of a lawsuit. The city has entered into contracts for design and construction planning of a new downtown library. State Rep. John Gannon (D-Boise) is chairman of Boise Working Together. Once a ballot title and question have been approved, the group has until April 30 to gather 5,000 signatures. Gannon said if legal issues or a short timeline stop initiatives on the stadium and library, the group would like to work with city leadership to put the issues on the ballot through council action. "No one should fear public participation," Gannon said. "Let's talk about it. Let's debate. Let's vote." Gannon said based on reaction in letters and on social media, there has been a "tremendous response" and a lot of enthusiasm in favor of a citywide vote. "The city should recognize that and work to put it on the ballot," he said. The petitioners will have 15 working days after receiving the review certificates to make changes and file revisions. Filing a revised proposal would be the next step before drafting ballot titles and gathering signatures to put the measures on the ballot for the city election in November.